Travelling northbound, continue until the M1 junction. Take the exit marked Malahide / R139 (previously known as the N32). Continue straight through the next roundabout and continue on for 1 mile until you reach the Hilton Airport Hotel on the left. At this junction, turn left. Continue past the hotel and take the next left. There is ample free parking on this street for up to 3 hours. Head in the direction of Bus Aras and Connolly station and continue until you reach Fairview. Look for signs for Malahide and take this left hand turn. 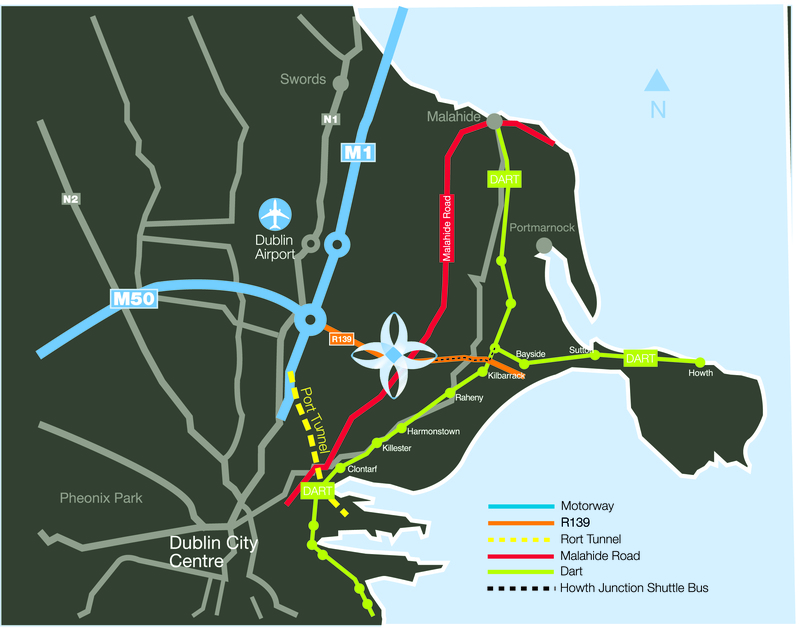 Continue straight along the Malahide road for about 5 miles until you reach the Hilton Airport Hotel. Continue past the hotel and take the next left. There is ample free parking on this street for up to 3 hours. Proceed southbound until the M50 junction. Follow signs for the R139 (previously known as the N32). Continue straight through the next roundabout and continue on for 1 mile until you reach the Hilton Airport Hotel on the left. Click bus routes to see all stops available on selected route along with real-time timetables. You can get the Dart to Clongriffin station.Take the 15 bus (towards Ballycullen Rd) from the station to Clarehall Shopping Centre. Cross the road to the Hilton Airport Hotel. Imagine walking out of the Hilton Airport Hotel and turning right. 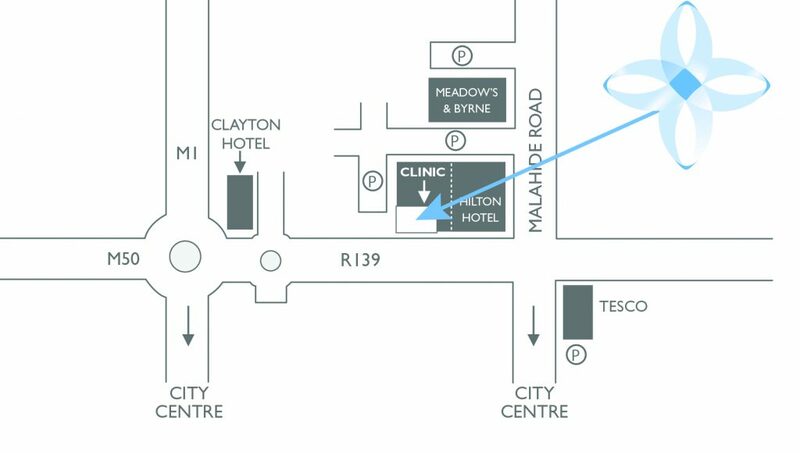 Continue along the footpath of the hotel for 50 metres and we are located around the corner on the ground floor.